Professors fill a highly regarded role in society, being seen as trusted and learned professionals. They are also viewed as typically non-violent and progressive individuals, with high intellectual acumen, self control and integrity. Yet, stereotypes of occasional “mad professors” sometimes come true, in a far, far worse way than depicted in fiction. Here, we discover the worst professors, associate professors, or instructors who were crazy — and/or angry — enough to become wanted killers or attempted murderers. A motivated, intellectually gifted, yet anti-social and entitled woman, former University of Alabama at Huntsville associate professor of biology Amy Bishop violently slaughtered three fellow university professors and wounded another three in a faculty meeting after being denied tenure. On February 12, 2010, Amy Bishop killed biology department chairman Gopi Podila, associate professor of biology Maria Ragland Davis, and associate professor of biology Adriel D. Johnson, Sr. Of the three injured people, one later died of a heart attack. But this terrible finale was not the first sign of trouble with Amy Bishop. Part of the reason she was denied tenure was her strange and sometimes abusive behavior on campus. Apart from this, she had a rather startling history of violence in a variety of societal settings that had been swept under the rug. Failure by family, administration, and law enforcement to punish her for previous misdeeds — including assault — may have assisted a monster in going unchecked until the point of multiple murder. After what has been considered by some to be a police cover-up, retroactive investigative action resulted in the conviction of Bishop for murder over the 1986 shooting of her 18-year-old brother Seth Bishop, which had been declared an accident. There was another incident where she assaulted a woman in a restaurant in a fit of rage and was charged but released without conviction. 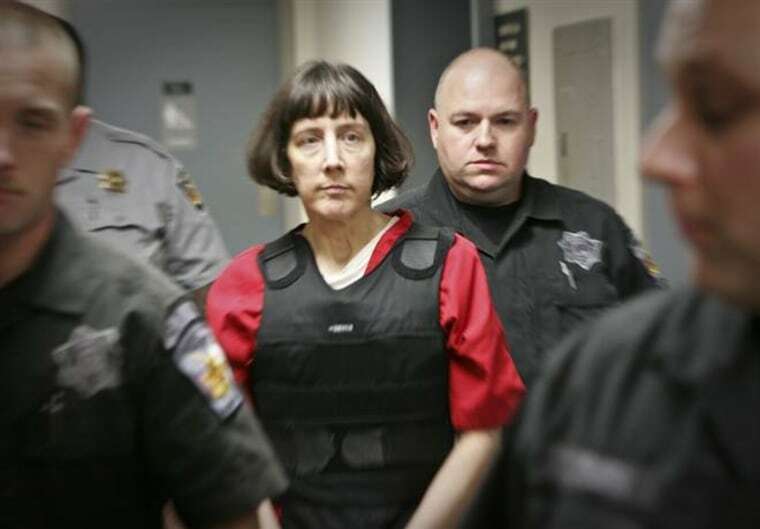 In recognition of her triple murder, infliction of injury and resultant threat to society, Bishop received no chance of parole as a condition of her life sentence. The notorious “Unabomber” (university and airline bomber) was actually a former mathematics associate professor named Theodore “Ted” Kaczynski. He was not only a deranged ideologue and a perpetrator of terror who maimed and killed across the United States; prior to publishing his bizarre manifesto titled “Industrial Society and Its Future,” Kaczynski won a scholarship and went to Harvard at age 16, then taught as an associate professor of mathematics at the University of California at Berkeley starting in 1967 at just 25-years-old. He then mysteriously resigned in 1969, retiring to a cabin, where he became a hermit. The Unabomber mailed homemade but devastating bombs that killed three and wounded 23 more, targeting those he saw as people advancing industrial society. His hate of civilization saw him send bombs to technologists, computer store owners, and executives. His targets ranged from an American Airlines flight to a geneticist as he attacked all facets of our modern civilized society, trying to force society to return to a primal state. The injuries involved were often horrific, including lost digits, serious burns, and loss of vision in an eye. Before the Unabomber was eventually brought to justice, the crazed former professor had killed, terrorized, and wounded Americans for 17 long years. Kaczynksi was eventually caught when his estranged brother recognized the language in his manifesto and tipped off law enforcement. The death penalty was sought, but not given — the result being four life sentences. The search for the Unabomber was the largest manhunt in the history of the FBI. It was also a hunt of extraordinary size, with 150 full-time staff involved in the search. Spending well beyond ones’ budget can create stress, but one professor chose to kill the man to whom he owed money. John White Webster, a former medical doctor turned Harvard University professor of chemistry, had an eye for the expensive. He went so far splurging on an exceptional fossil and mineral collection that it required a mortgage to fund it, prompting a dispute when he killed his creditor, George Parkman, after promising the collection to another creditor. Parkman (who had sought to establish a mental asylum but failed), remaining in the lending and real estate businesses, was well known to Webster and had done deals with him for years before the mounting pressures and difficulty in paying brought matters between the two men to an ugly head. In a dispute that ensued one night in November 23, 1849 when Parkman tried to collect unpaid debt from Webster, Webster lashed out, bludgeoning Parkman to death. Parkman did not return, which sparked the concern of his family. 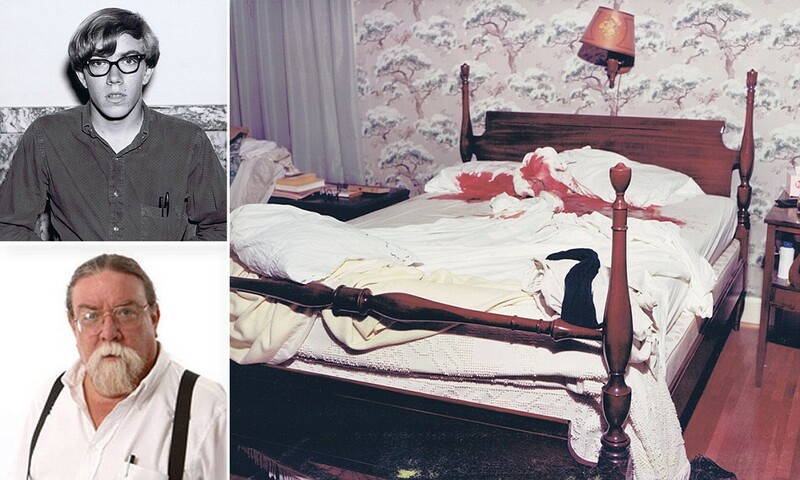 After killing Parkman, Webster “dissected” his body and hid the remains under his dwelling. After an amateur investigation by a janitor named Ephraim Littlefield led to the discovery of Parkman’s hacked up remains concealed in a drain pipe, Webster was arrested and hanged in 1850. “Mechanical engineering professor” and “murderer” might not come to mind in the same thought. But one such person, who was also a university council member, killed his wife, brazenly concealed her body on campus, and then played dumb by reporting her missing to police. University of Hong Kong associate professor of mechanical engineering Cheung Kie-chung was charged with the murder of his wife, caught after CCTV camera footage roused suspicion of his guilt. She was murdered in their on-campus suite, followed by the concealment of her body in-office on the university campus. The deadly professor turned spousal killer not only hid her body, but procured a wooden box in which he stored it as a makeshift coffin. The details of the case become even creepier as one learns more. Not only did the professor fail to effectively conceal her body, he failed to consider the alignment between video surveillance and his story. After reporting her missing, video surveillance of their home never showed the professor’s wife leaving the property. Yet footage of a large wooden box being moved by the professor showed up on the tape. The box gave off a smell when it was found on campus, and blood was seeping out, as little care had been taken to seal it. Sometimes it seems that a crime may have some relevance to a mad academic’s area of expertise. In a most twisted and tragic killing, Delta State University assistant professor of history Ethan Schmidt was shot to death by a deranged Shannon Lamb, a geography instructor turned killer who ironically held expertise in the “geography of crime.” The killing remains a mystery despite a puzzling handwritten note left behind by Lamb. On September 13, 2015, an enraged Lamb, apparently experiencing significant mental disturbances, killed Schmidt. Lamb didn’t just have Schmidt on his target list; he also fatally shot his girlfriend before going on to commit suicide. The bizarre killing spree that took Schmidt’s life was recalled when a sculpture in memory of Schmidt and his contributions was set up in the Delta State University sculpture garden, bearing the name “broken arrow.” Despite the conclusions to which one might jump, the girlfriend was not seeing Schmidt. Rather, a report stated that Lamb tried to commit suicide, apparently accidentally shot his girlfriend when she tried to intervene, and then decided to kill Schmidt, who he saw as an academic rival and career development barrier contributing to his lack of tenure securement. “Professor” may seem like a profession that calls to the peaceful and learned, but the harsh reality of human conflict brings a new beast into both the mean streets and the legal arena: the rogue, violent philosophy faculty member. Previously a professor of philosophy at East Bay College in California, the now disgraced Eric Clanton took a plea deal resulting in three years of probation for his forceful actions on one fateful day in April 2017. He didn’t end up killing anyone, but the amount of injury he inflicted in a violent masked attack before his identity was revealed was extraordinary. Clanton’s extracurricular interests included being involved in Antifa and anarchist causes, and he decided to translate his philosophical perspectives into a violent attack with a bike lock, smashing people in the head. The original charges he faced included four counts of felony assault with a deadly weapon, which was the massive bike lock. The attacks, ironically, took place during a free speech rally that was being held in Berkeley. No matter how distasteful the words of those disagreed with were, smashing bike locks on people’s heads is itself pretty repressive and is really not the best way to share one’s sentiments about fascism issues and free speech. Ernesto A. Bustamante stands out as one creepy dude in the history of academia. He was also one of the most violent when he could not get his way, exactly and with full victim compliance. The now notorious professor turned bloodthirsty killer and suicide statistic worked for the University of Idaho, where he was thriving in his career as a psychology professor. Known fondly by his students as “E,” Bustamante was known for going beyond just teaching students and getting involved in “helping” them with their personal lives. This involvement soon went too far and too personal, with deadly results. Bustamante got involved romantically with a 22-year-old student, Kathryn Benoit, who not only chose him as her academic advisor, but slept with him and became upset in the relationship, stating she had been threatened at gunpoint and sexually harassed in a complaint she filed against professor. On the first day of classes in the fall semester, Bustamante pulled up Benoit’s house and shot her about 12 times. The professor then shot himself to death. The investigation turned up some chilling results, including no less than six guns, a printout of Benoit’s complaint against the professor, and four bottles of medication for various mental disorders. Mad professor, bomber, and fanatic all in one? The oh-so-nutty Erich Muenter, the man who shot American tycoon J.P. Morgan (who survived the attack), was born in Germany but moved to America, where he taught German at the University of Kansas and Harvard University. He also unleashed a host of ills stemming from an academically inclined — but twisted — mind. The man was also a fanatical German nationalist, domestic murderer, active shooter, and criminal bomb planter. After his wife died of arsenic poisoning, he refused an autopsy and tried to have her buried in haste. He eventually allowed some of her remains to be examined, which revealed arsenic poisoning as the cause of death. Charged with murder, he had already escaped. He created a new identity, with a new surname (Holt), under which he continued to teach German as a professor. In 1915, “Holt” began to gather notoriety for his speeches espousing German national interests and displaying his anger towards J.P. Morgan for financing World War I Allied forces efforts. In a manner reminiscent of an early era Unabomber — at least in modus operandi, if not ideology — the man planted bombs in the New York police headquarters, a US Capitol reception area, and the SS Minnehana. Two guns were used in an attack on J.P. Morgan, who despite gunshot wounds not only survived, but was able to catch and restrain “Holt,” who later claimed to be a pacifist — a statement unable to be reconciled with his violent actions, domestic and otherwise. Suicide in police custody eventually followed. A secret, sometimes shameful past is a staple of literary works. Sometimes, a new identity masks a past more disturbing and bizarre than what you’ll find even in works of horror. James St. James, a professor of psychology at Millikin University in Decatur, Illinois, was born James Wolcott in Texas, where he grew up only to murder his mother, father, and sister with a gun at the age of 15 in a fit of rage. Prior to the shooting, Wolcott had attended a concert and also sniffed glue. In the aftermath of the senseless murders, the young man was committed to a mental hospital until the age of 21. Eventually, the killer received money, which he used to obtained post-secondary degrees, getting enough education to become a psychology professor. He concealed the murders in his past, took the professor job, and then managed to keep the gig once his history was revealed after 46 years of secrecy. Following the revelation of the professor’s terrifying secret past, reactions were mixed. The mayor of Decatur recommended the professor’s dismissal, but the campus stood behind the man they affirmed was a changed man and a skilled teacher of psychology, noting his achievements in career development. Killer professors are rare enough, but the specter of a mad professor willing to use deadly force in a busy public place takes surprise attack to a whole new level. On April 25, 2009, University of Georgia marketing professor George Zinkhan III shot his wife and two others right in public during the day, on a busy street beside the Athens Community Theater in Athens, Georgia. Two handguns were used to murder 47-year-old wife Marie Bruce, along with 40-year-old Tom Tanner and 63-year-old Ben Teague. The killer had his children in the car in which he had come to the crime scene, whom he is said to have dropped off before going on the run. He fled for awhile, with a team of FBI agents from no less than seven states in pursuit, but committed suicide following the murders. The taking of his own life was just as calculated as the murders Zinkhan committed. Not only did he shoot himself, but he first dug a shallow grave, in which he was found. Zinhkan’s body was mostly concealed, as he got into the grave, covered himself, and then fired his gun.